This isn’t your grandpa’s taxidermy. 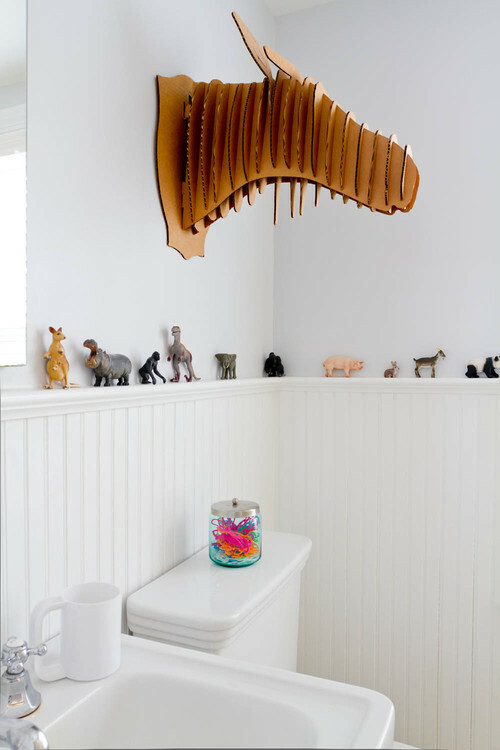 Faux taxidermy made of everything from papier mache to porcelain are a child-friendly way to invite a little bit of texture and character into your home. 1. 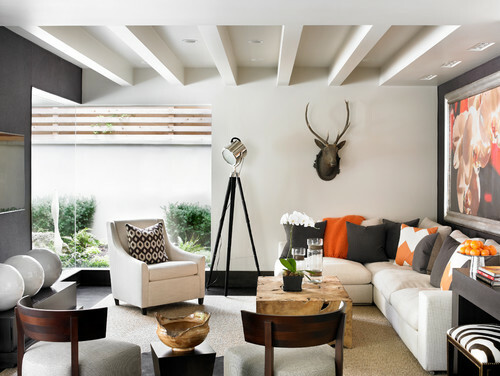 Display your faux taxidermy collection together in one spot for maximum impact. 2. Pair up two similar animal busts for a subtle surprise. 3. Use negative space well by placing a single bust on an otherwise empty wall. 4. 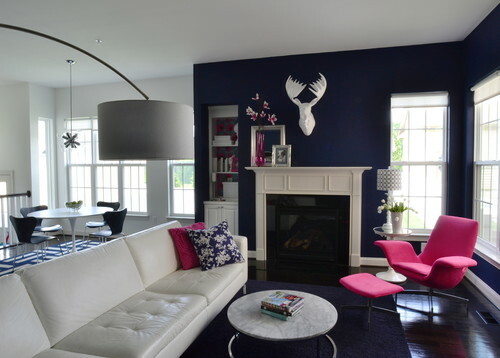 Make a modern mantle with a piece of faux taxidermy. 5. Get back to nature when nature calls. 6. Tiny faux taxidermy in the nursery is adorable in so many ways. 7. 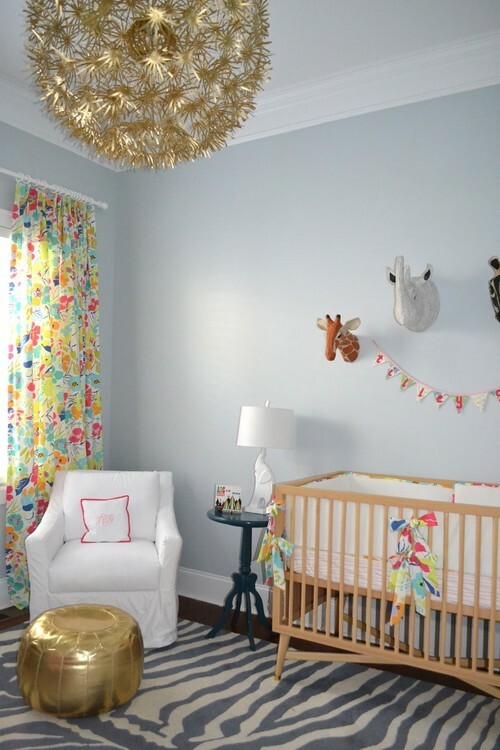 Use old and oversized stuffed animals to create a cute taxidermy effect in the nursery or playroom. 8. 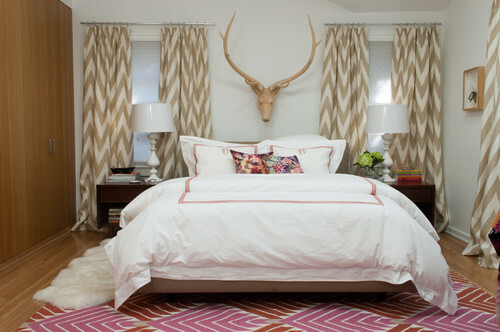 Go big or go home with an oversized deer head in place of a headboard. 9. 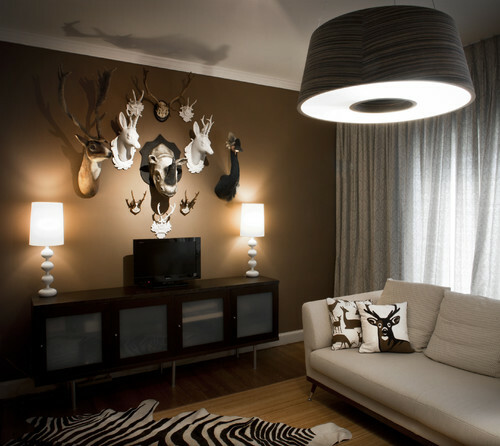 Make an animal print statement wall with a couple of faux taxidermy pieces and a bold matching rug. 10. 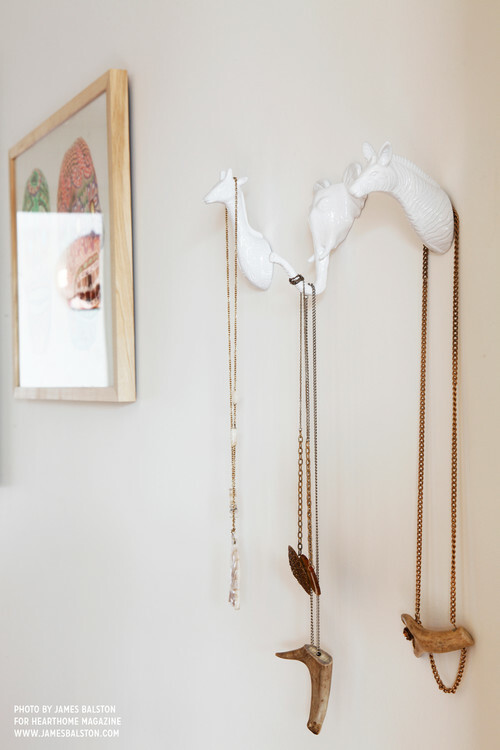 Tiny taxidermy makes an excellent jewelry holder and wall display. 11. 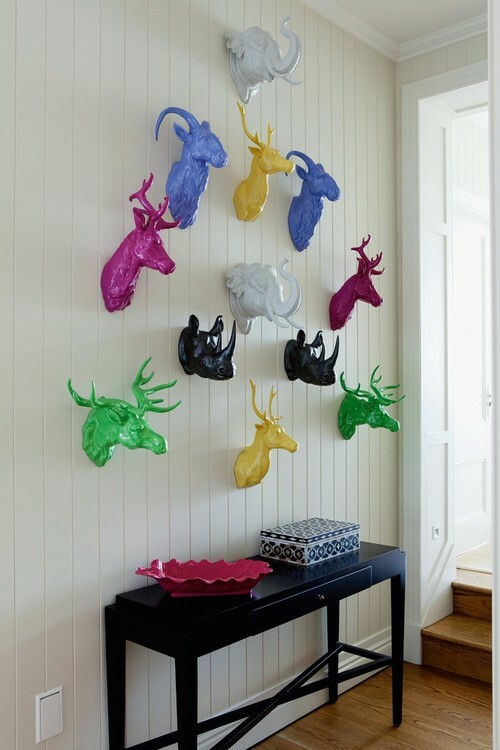 Create a colorful gallery wall a plethora of painted faux taxidermy. 12. 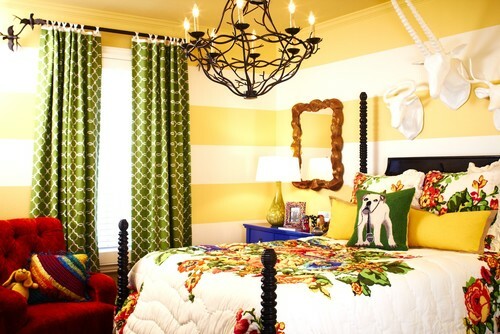 Finish off a maximalist room with a grouping of animals above the bed.